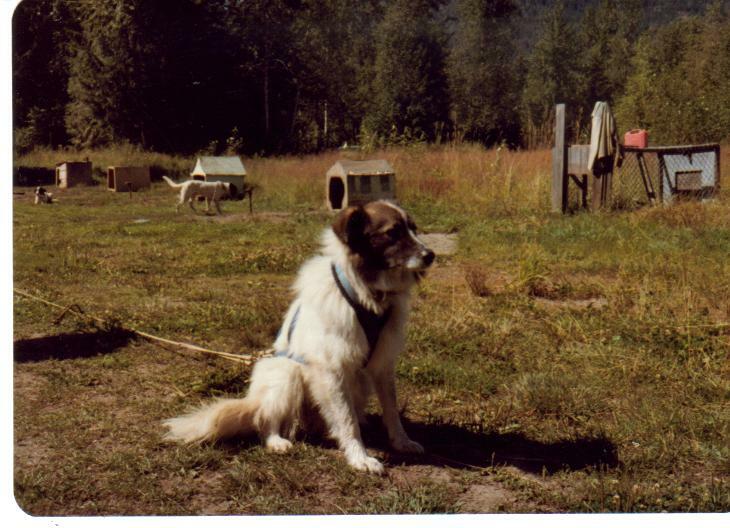 Cylus was my first leader, an obedience dog, intelligent, all heart, and full of bounce – we think he was a Collie/Aussie cross. Cylus was a last minute rescue from euthanasia when he was ten months old – this story took place when Cylus was four or five years old and he and I had shared many things together. While driving home from work one evening I hit a deer on the highway. I wasn’t hurt, but the deer was dead and the truck was not drivable. I was able to catch a ride home with the next following vehicle. I arrived home to find that some friends had come to visit. Everybody was sitting around the living room having a pleasant conversation. Cylus was on the floor beside Carol. I sat in my usual chair and listened for a few minutes to catch on to what the conversation was about. When I did start to say something, I didn’t have more than two words out of my mouth, when Cylus started to moan and wail. He crawled towards me, belly down on the floor, this horrible moaning/wailing sound coming from deep in his throat. Carol asked, “What on earth is the matter with that dog?” I replied that I had hit a deer on the way home. I didn’t think I felt particularly stressed, and I sure wasn’t hurt. But Cylus had picked up something in my voice and had reacted with a huge concern for my well being. These are just a few examples of how that remarkable little dog seemed to live inside my head. Cylus lived to be 18-years old, and although he’s long gone these many years, I still miss him badly. Do you have a remarkable story about one of your dogs? Contact us at live@dogdoctorradio.com We would love to hear from you.